I bought this at the Krabi International Airport. It sounds sad to be buying something from that tiny little touristy place, but this caught my eye and we had a lot of leftover baht! The wood is smooth and cool to touch, and has just the right weight. 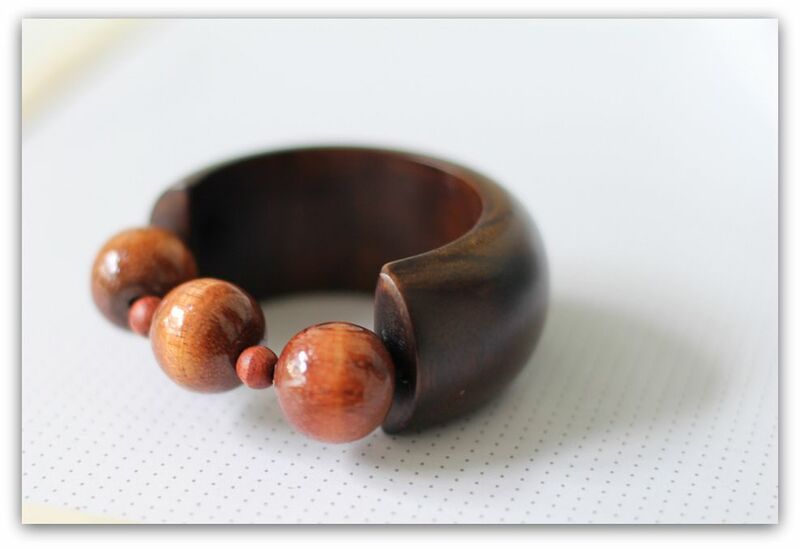 Although I like wooden bangles in general, most come in sizes too big for my little wrists. This one fit perfectly and I was so pleased. Bubbles likes to play with it and put her little arm through. Once, while fiddling around with the bangle, she pointed to the shiny round beads, looked up to me and said knowingly: Mummy's balls. I just sat there laughing, to her bewilderment. LOL! Now, that's a whole different level of cute!